"I give up!" the man shouted. "I can't take it any more! There is nothing left for me." Everyone around him kept on about their business. Some made it a point to get away from him. "He's crazy," one man said quietly as he nervously rushed toward the door. The man sat down quickly. Still taunted by whatever caused the outburst, he looked down placing his head in his hands. "I give up!" he said again. A young boy standing nearby seemed unaffected by the ranting. While others kept their distance, he stood his ground. "Sir! Sir!" the young man repeated. So wrapped up in his anguish, the man never heard the young boy. Determined to speak with the man, he walked closer. "Sir! I know what's wrong!" he said. "Please, sir!" The man still slumped forward in his seat, rocked slowly back and forth. But still he did not respond. The young boy walked up and placed his small hand on the stranger's shoulder. This startled him and he picked up his head to see who was there. The boy was taken at first by his appearance. His red eyes, his unshaven face and hair that looked like it hadn't been washed for days, would cause most people to cautiously avoid him. But this young man wasn't just anyone. "Sir, I know what's wrong," the young boy whispered. "What? How would you know what's wrong with me? You're just a child. You can't even begin to know what's wrong," the man said. "Sir. You said "I give up!" "My Mom said that I should never give up. 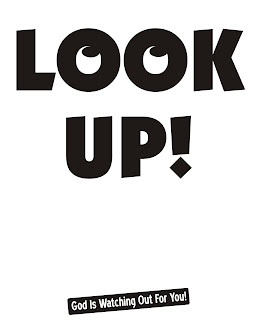 Whenever I feel like I want to give up, I just need to look up. God's hand will be there to lift me up." The man's head fell back into his hands as he began to cry again. The young boy never left his side. Slowly the man lifted his head to find the young boy standing there with his hands stretched out toward him. The man's hands shook nervously as he reached out toward him. At the very moment their hands touched the man said, "Thank you dear God! You do love me." He raised his head and with an ever so slight smile, he said, "In my frustration I have been angry with God. I thought He never heard my prayers. All morning I prayed to Him with no results. Finally, I asked God for a sign. I told him that I couldn't handle the weight of all my burdens. I begged Him to give me a hand." Looking at the young man he said, "I never expected they'd be so small...He sent me yours." 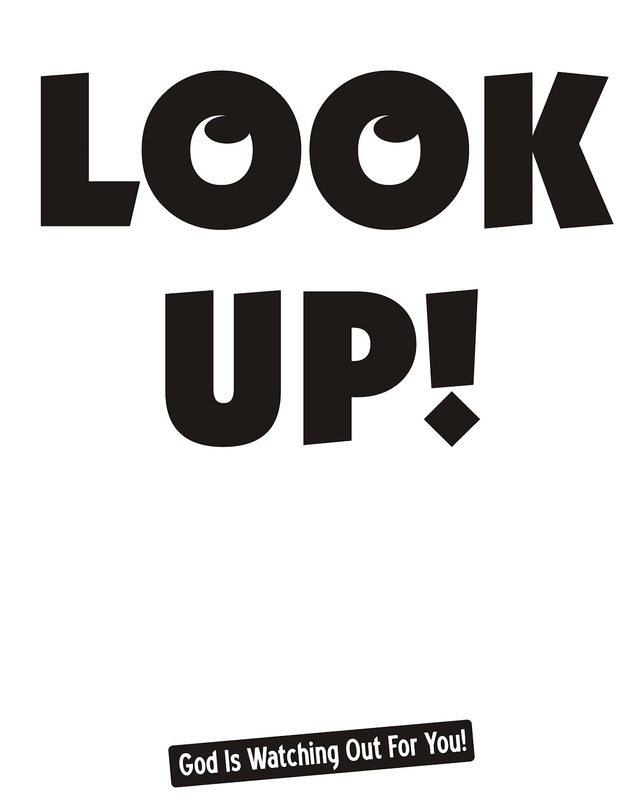 "Don't give up...look up!" the boy said. Why is it that when we are unhappy we count all the little things that go wrong. But when we need help we expect God to make big things happen? Dear Lord today we pray that no matter what the circumstances are we would look up to You. In Jesus’ name, Amen. When You Think Nobody is Listening. Giving up Can Be Easy. Ever Wish You Had a Permanent "Picker-Upper"? Swim the Race Before Us. What Does it Take to Get You to Listen? Are You Showing God's Love? Are You Growing in Jesus' Cozy Shelter? Is Your Trust in The Almighty? Being Grateful for Those Around You. Giving of Your Time, Talents and Money.